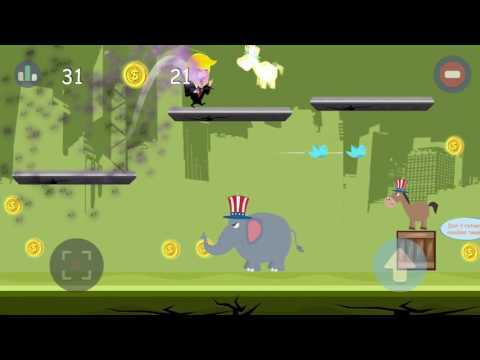 Drumpinator is funny & satirical political adventures game. Easy to play, classic shooting runner style. Drumpinator is fictional game character, and does not have anything with Donald Trump. Tweetstorm your enemies! Just keep pressing tweet button often as Donald Trump!